The exhibition features 5 neighborhood improvement projects ALTernative has completed or envisioned for the city of Columbus. The exhibition sets out to explore the ways in which neighborhoods can still be creative in improving its built environment in the post-recession era. The reality of tighter budget has shaped the types and scales of new developments. New ideas and business concepts that took off are based on collaboration. Among them include the thriving scenes of food trucks, pop-up stores, public art, etc. 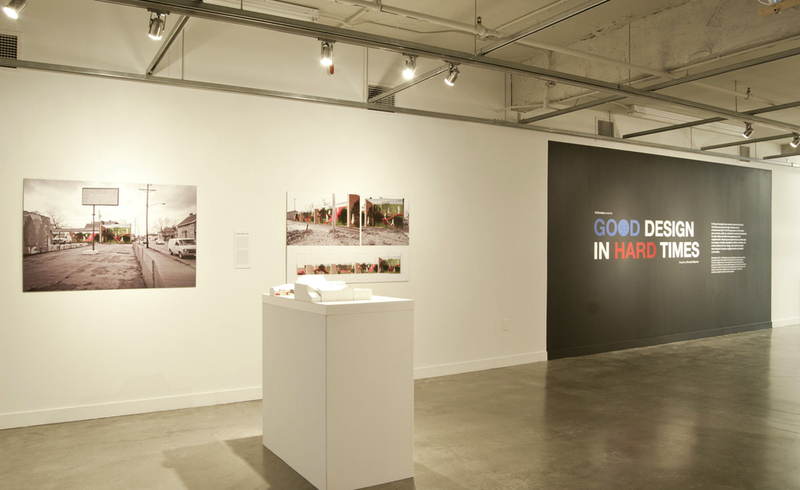 The exhibit focuses on projects that aim to help spur neighborhood improvement through art, design, and businesses. All of the featured design concepts are of small-scale, low-budget, and highly adaptable to different locations. For example, community murals are proposed as an economic mean to deter graffiti, beautify neighborhood, and encourage community bonding. A food truck hub is also proposed as a way to help revitalize disadvantaged neighborhoods. Street furniture that serves as benches and planters are proposed to highlight the artsy character of the neighborhood. In conjunction of the exhibit, an educational workshop was organized to engage the community to design and create a dream neighborhood.